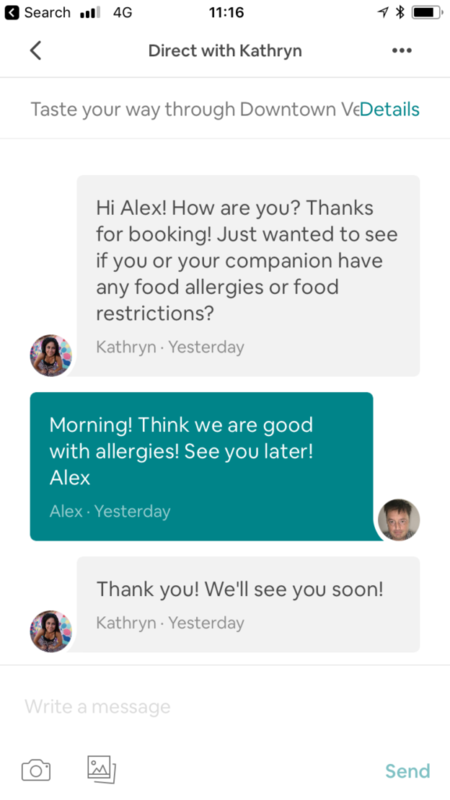 I wrote about Airbnb Experiences back in March this year where I outlined that their approach to experience delivery creates some significant challenges for their hosts but also significantly better service differentiation for their customers. Guaranteed operation, pain free cancellation, minimum booking size one and exclusive supply are really hard on suppliers (hosts) but for customers this creates better than your usual professional tour outcome so its completely understandable why Airbnb are taking this approach as fits their superior quality brand they are trying to build. It may not be possible to deliver, but this is their aim. Worth a think about. But this article isn’t about that. Instead I want to recount my Airbnb booking & delivery experience. It was interesting. Before I dive into detail it is vitally important that we are all clear this is not about the individual host / tour supplier. Shaun, the professional tour guide, delivered, I assume, as directed, and it was a great fun, very informative, evening. He did his job – I go on a lot of tour guide lead experiences undercover – he was exactly what you expect from a professional tour guide. Nice guy. I would hire him. Airbnb booking flow was very simple – totally clean. I have stayed at Airbnb several times before (accommodation) but never booked, however I have had an Airbnb account since 2012 which I reactivated and used for this transaction. I use a personal email address but do say I work in the travel industry on my profile. I booked at 9/10 am for a tour that started 5:30 pm so fairly last minute. So far so good! Actually I was so impressed with this (although slight nagging doubt if they had automated this somehow) I tweeted it. I’m a true native, born and raised in Las Vegas. I’ve see the city grow and evolve into what it has become today. I’ve worked in the food service and hospitality industry on and off the Strip since I was 15 years old, but my passion for food and dining began after I spent some time in France after college. Food brings people together and I can only imagine how overwhelming a place like Vegas must be if you don’t have anyone to show you around. Let me take you to where I take my friends. I’ll share my stories of graveyard specials, 99¢ foot long hotdogs and $5 all-you-can eat buffets. On reading that I thought that she sounded very local and I was excited for my Airbnb Experience with Kathryn. I also used to live in France and helped tourists with food discovery when I lived there so thought I would have a connection. 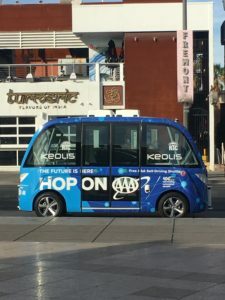 Now at this point I think I am booking a highly personal downtown Las Vegas food tour experience with a local, Kathryn. That is the Airbnb brand expectation. Meetup was more complicated than it should have been. I was looking for someone female called Kathryn in what would likely be with maximum a handful of people. Instead there was this guy Shaun and a tour group. Knowing what question to ask I did check I was on the right tour and off we went. Shaun told us what hashtag to use on social media (nothing to do with Airbnb) and requested our email / phone numbers so we could be followed up with afterwards – e.g. for a review. I get that – various OTAs won’t give email addresses of customers to suppliers – this is a massive pain – so I think if I was a supplier I would ask for everyone’s email address too! Frankly online travel agents (OTAs) should give suppliers all the information they need and lets just move on from that debate (for service delivery, not necessarily future marketing permission- current privacy laws should restrict misuse by suppliers). Airbnb says the maximum group size is 8, inferring that this will be a much more private group. That is why I thought we were going to be a small group. But we were over that. In checking subsequently, this group size is not a restriction set by Airbnb (they limit at 10) but an experience level configuration. The company behind the tour guide, TasteBuzzVegas, who use Peek as their reservation system, restricts at 12 capacity for this specific tour (it appears). I expect that they set to 8 on Airbnb because Airbnb doesn’t connect to supplier reservation systems so they don’t want to overbook as a result of multiple bookings coming via different sources at similar times. Setting to 8 sets the consumer expectation that this will be a very small group tour. For example, I wasn’t expecting it to be private, but I was expecting max 8 not 10. Exclusive dates: Once a Host lists an experience for a particular time and date on Airbnb, only Airbnb guests can attend that instance of the experience. On our instance of the experience we were the only Airbnb customers. The other 8 had booked via other sources (so it appeared). This probably bothers Airbnb more than it bothers me. The two points I really did not like about the experience (and my companion even more so) related to photography. I do not like tour companies taking photos of guests for their own promotional use. By participating in a Taste Buzz Food Tour, you acknowledge that any photos and/or videos taken on the tour by a tour guide, an employee, a contractor/subcontractor, an affiliate, and/or a participant of Taste Buzz Food Tours may be used for social media and/or promotional purposes that may appear online or in print. During the experience Shaun, the tour guide, took 4 “official” photos of the tour group. No idea what is going on with those. I booked via Airbnb and DID NOT agree to the TasteBuzzVegas terms & conditions. There was no initial “hey we are going to take photos” verbal/written photo release document for Airbnb customers who had not agreed to the company terms & conditions. Additionally, one of the “customers” was a professional photographer, apparently a friend of the tour company owner, who spent their entire trip taking video and photographs of the group, apparently on behalf of the tour company for advertising purposes. I did not agree to the tour company T&Cs (only Airbnb’s which on my reading makes no mention of photo release conditions) so will be asking for that media to be deleted. Tough. At the end tour guide Shaun went around the group – asking everyone – what was the best part of the experience – and what was the worst. It was like a counselling session! I didn’t answer the negative question but I did like one of the foods so I mentioned that. After all it was a good tour – he did well. We were all asked to give our reviews to TripAdvisor / Yelp. And to specifically mention Shaun so he would get a bonus. Hummm – this was an Airbnb experience – they should be pitching to review on Airbnb. Poor Shaun knew that I was a bit annoyed over the evening – he probably couldn’t work out what was up (having no idea I am in the sector) – ha – that is what makes him a great tour guide – having that sense that something needs fixing. He hugged me and my companion and we said our goodbyes and we disappeared into the night. Hi Shaun – you did great. This is not about you. 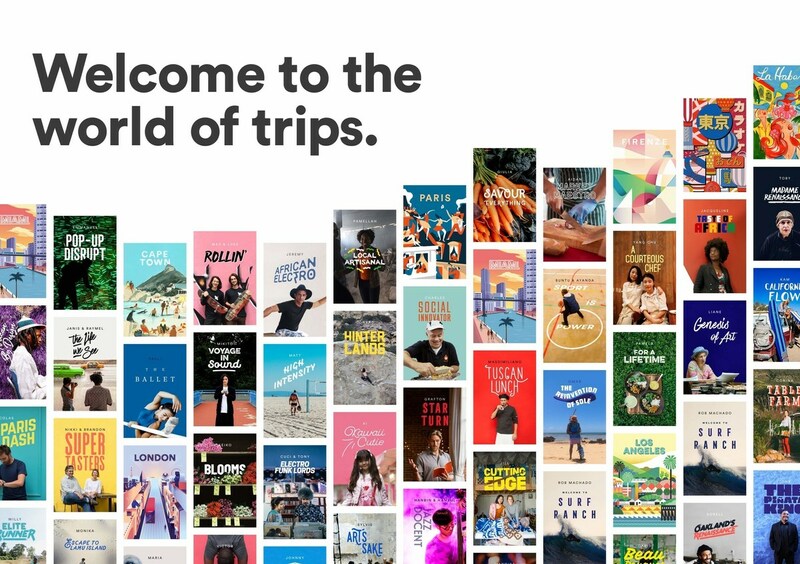 Airbnb seems OK with co-hosting (multiple tour guides) – they just want background & profle of ALL the tour-guides – so if Shaun is hosting this – he should be on the Airbnb listing. Simple fix. Curation – when us old people (like me) started in this sector as online travel agents it was all curated. You as the travel agent would go on every tour before listing and probably every 12 months after. That was when the top online travel agents had 7000 well selected experiences. Now the travel agents are all bragging about 100,000+ listings but they have never tried any of them. There are staff at those companies who rarely go on any tour experience. Everyone knows I prefer curation over aggregation – Airbnb SEEM to be curating (only accepting 20,000 experience listings out of 100,000 who applied so far) – but their curation strategy is obviously not a real world one – just a remote “sit in office and this looks OK” style curation. Not sure that really works! They should have caught this one rather than waiting for me to blog it.